Throughout history, the biggest of inventions have defined civilizations, changing the way of life with a single purpose – to make living more enduring and easy with far lesser hindrances. The ancient world was full of such possibilities since there was so much to invent and discover. Ancient Rome is undoubtedly one of the more prominent names that is extensively known, for making inventions that changed the course of human nature and development. Needless to say, the ancient Roman inventions gave shape to the Roman civilization as we know it today. In many cases, the Roman inventions were more accurately innovations – they had a knack to bring necessary changes in already existing technology. Without further ado, here is a list of top 10 ancient Roman inventions that lead to some major advances in engineering and innovations, establishing the Romans as one of most noticeable and dominant civilizations of the contemporary period. Even though the first use of this incredible architectural innovation predates even the earliest years of Roman civilization, the arch truly became as essential structure in the general architecture paradigm once the Romans made necessary changes in its construct to fit it within their designing schemes. It was the Romans who first found out a way to set an arch on top of two tall pedestals such that it would span over a walkway (and in many cases, even highways). These arches went on to become a pivotal engineering construct that laid the foundation for many of the subsequent structural highlights of ancient Rome. Many bridges were built upon these arches, and so were the aqueducts, sewers, amphi-theaters and the colossal Colosseum. The merits of Roman arches were utilized later in the middle ages when some of the most magnificent cathedrals in the history were built. In fact, it was the only known method for roofing a building without the use of support beams. Again, the Romans were not the first to start grid based establishments and cities, the earliest of basic grid planning dates as far back as Mahjong Daro and Harappa. But it was the Romans who embraced this concept, added a new dimension to it and implemented it on such a large scale that grid based settlements became famous. A basic Roman grid was characterized by a rectangle or a square in a nearly perfect orthogonal layout of streets. The two main streets, cardo and decumanus, would cross each other at a right angle in the center of grid. 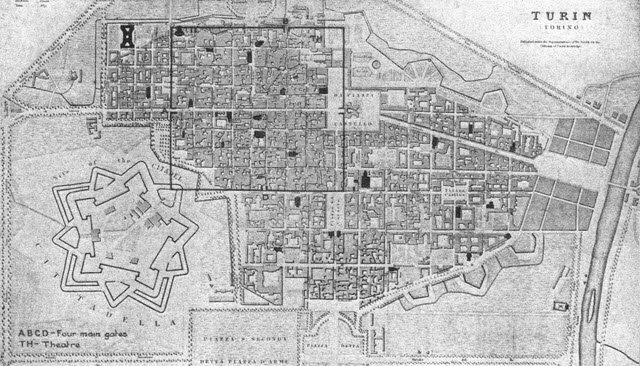 This grid was an ideal structure to organize the different components of city such as housings, theaters and stores into particular blocks. Rather than making it a monotonous array of blocks, Romans incorporated various items such as open theaters, public baths, markets and other recreational facilities within a city grid. The Romans then went on to standardize this pattern of settlement by building colonial cities and military camps throughout their huge empire, from Britain to North Africa, in Italy and also in all of the Eastern Mediterranean region. The ancient Roman Empire in many ways boasted the highest level of sewage and sanitary management in the contemporary ages. They had established a number of public baths, latrines and an interlinked sewage line binding them all together in a complex yet an efficient feat of engineering. Rome and other major cities had an extensive network of sewers and drains that ran along the sides of streets. The abundance of water in the Roman aqueducts along with runoff water from local streams was regularly used to flush these drains and sewers. The flush would then dump all the waste into the nearest river (usually the Tiber), which does not sound the best of sanitary solution, but was far better than leaving the sewage lying around in the streets. The ancient Romans also excelled in the used of covered gutter and sewer lines to which a majority of houses in the city was connected. 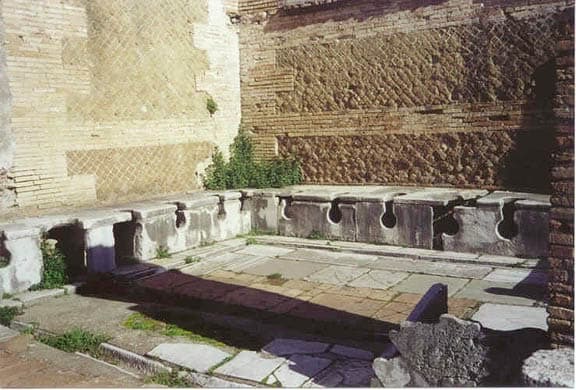 Without a doubt, their sewage and sanitation system made the ancient Romans a forerunner for newer practices in sanitation throughout the world. One of the main reasons behind ancient Rome’s impeccable and effective administration of such a vast domain was the construction of one of the most sophisticated system of roads in the ancient times. 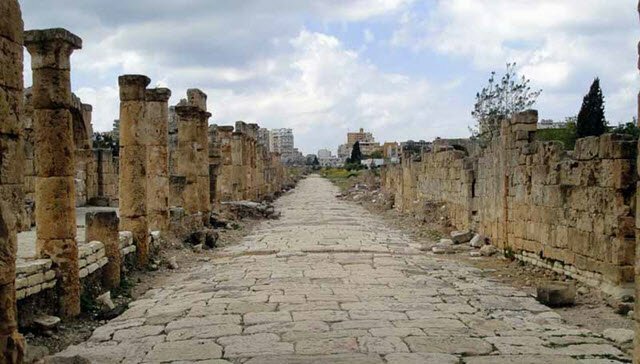 Roman roads and highways played a pivotal role in the rise of the Roman state, expanding all across the Roman Republic and then the Roman Empire. In a period of about 700 years, they built about 55,000 miles of paved highways around the Mediterranean basin and across Europe – a feat that ensured a fast and efficient movement of goods, soldiers and information across the entire empire. Roman roads usually followed a straight route across the countryside, making the travel efficient and quite fast. These expertly engineered routes were as easy to navigate. The Romans were one of the first to use road signs and mile markers. They also made sure the majority of highways were well protected and patrolled. Back in the times of the Roman Empire and Republic, the Romans enjoyed quite a many facilities. Many of these would not have been possible had they not mastered the technique of building aqueducts to tap water from rivers, springs and other reservoirs. 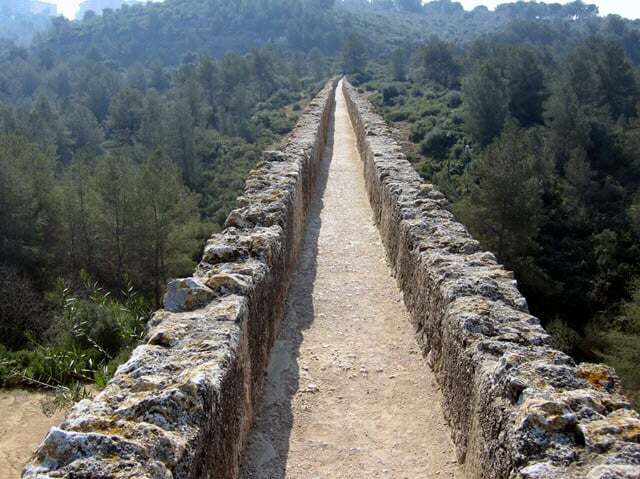 The first of Roman aqueducts were built around 312 BC and thereon took off as an engineering marvel that used the downhill flow of water into the city centers. The entire aqueduct network relied on various factors and the use of gravity to maintain a continuous flow – whose overall engineering concept was far more remarkable for its time. Once the water would reach the bigger cities like Rome, large reservoirs would hold it up. Then the connected public baths, fountains, toilets and private villas would tap in the network and access the water. Being one of the most visible symbols of the ancient water system, the aqueduct stands as a true testament of ancient Roman engineering and innovation. As the name already suggests, the Roman numerals originated in ancient Rome. Constituting into one of the popular number systems that is still used for various purposes today, the first usage of these numbers dates back to somewhere between 900 and 800 BC. Back then, much of the existing numbers and counting systems could not keep up with ever increasing calculation requirements. 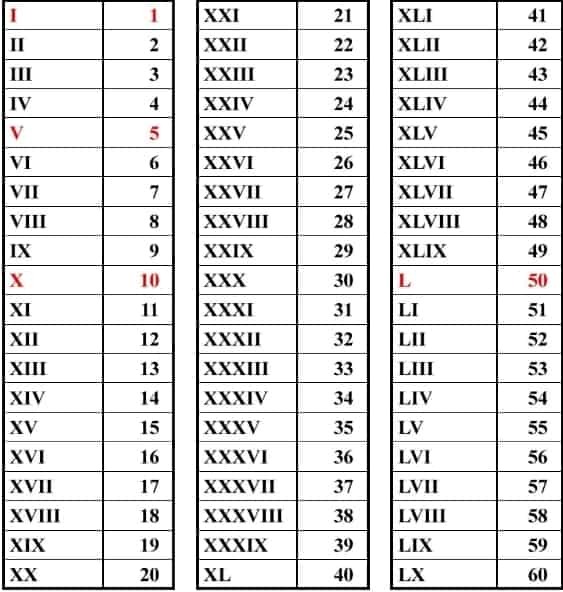 The Roman numerals were developed to serve the exact purpose of delivering a standard counting method that could be efficiently used in communications and trade. 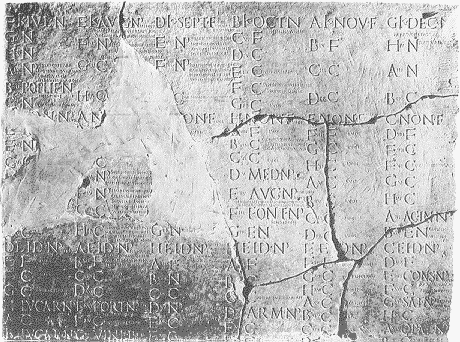 Though the Roman numbers also came with their flaws such as absence of the number zero and inability to calculate fractions, among many others. However, these numbers were able to survive even after the fall of the ancient Roman Empire. Their use in movies titles, cornerstones and many other popular and cultural references today shows the long lasting legacy of this ancient numeral notation. The ancient Romans invented a number of surgical tools and techniques that pioneered subsequent developments in the field of medicine and surgery. The Roman medical scenario was heavily influenced by the surgical advances achieved by the ancient Greeks. Medical practitioners in ancient Rome not only utilized all available tools to their best, but also developed as many new tools themselves and efficiently devised the use of cesarean section. But they made the biggest of leaps in battlefield related surgery by making medical preparedness and remedy in battle a prime concern. During the reign of Augustus, the military medical corps was established to assist injured soldiers in battles. The Romans also mastered medical innovations to curb immediate blood loss in battles, thus saving thousands of lives. They also invented tools like bronze scalpels, obstetrical hooks, bone drills and forceps, and also the rather frighteningly named vaginal speculum. The Romans are also attributed with pioneering the earliest form of antiseptic surgery since they used to dip medical tools in hot water to disinfect them before surgery. Once the ancient Romans became the biggest of the civilization of the ancient western world, they also realized the complications of maintaining a standard calendar applicant throughout the empire. It did not help either when they imposed months with odd number of days only because of a prevailing superstition against even numbers. Eventually, the calendar was so far off the regular timeline that Julius Caesar implemented a new reform, making the duration of a solar year as the basis for the calendar. He also instituted the 12 months in a year. It is clear from the name itself, the calendar was named after Julius Caesar himself. Some of the Eastern Orthodox churches use it to calculate holidays even today. Even though it was a seemingly perfect innovation for its time, the Julian calendar miscalculated the solar year by about 11 and half minutes. This eventually led to the creation of the Gregorian calendar that heavily used the Julian model and was adopted in 1582 AD. History is rife with autocrats who impulsively craved to keep public in the loop about official announcements and developments. Rome was the foremost Empire that established a sophisticated system to circulate written news which it published on Acta diurnal which translates to “Daily events”. These handwritten news sheets were published daily and then were posted by the government in the Roman Forum from the year 59 BC to somewhere around 222 AD. The majority of content in Acta diurna usually comprised of news on political happenings, trials, military campaign, executions, major scandals and other similar subjects. The Romans also published the Acta Senatus that recorded the proceedings in the Roman senate, though this sort-of journal was kept out of public reach until Julius Caesar made it accessible to everyone as a part of popular reforms he introduced during his reign. When the first of the modern newspapers were introduced in Europe, they may have owed only a little or even nothing to earliest of efforts like Acta diurna, it stands as a pioneer in news publishing history. The ancient Romans were particularly skillful in rapidly building new structures and at the same time, they were also good at maintaining their structural integrity and built. The revolutionary concrete developed by the Romans inhibited an impeccable built and lasting formation – playing a huge part in the architectural accession of ancient Rome. The scientists who studied its composition in detail found it to be superior to modern day concrete and the far more environment friendlier than modern counterpart. The piece of concrete they experimented on had been submerged in the Mediterranean for more than 2000 years. On further analysis of the concrete, it was found to produce a compound that significantly differed from the concrete we use today and made it an incredibly stable binder. The Romans used to combine their cement with volcanic rocks popularly known as tuff, enabling the resulting concrete to endure possible chemical decays. It is not much of a surprise that many ancient Roman structures such as the Pantheon, the Colosseum and the Roman forum having been standing since more than two millennia. Courtesy of the inventions and innovations listed above, it is only fair to say the Romans were eventually able to step outside the gaint shadows the ancient Greeks. From the engineering marvels like aqueducts and arches to the amazingly stable concrete that stood the test of time, the ancient Romans truly succeeded in inventing and innovating their way to become one of the most prominent empires of the ancient world. Though many of their advances may have been forgotten in the light of far superior modern technological developments, their inventions encouraged subsequent societies to adopt news ways of governing, living and understanding the world. the romes were copying the Greek life style so if it’s found in rome that doesn’t mean it’s romen inventions, most of them are Greek inventions. but the Romans had a lot of there own inventions as well they didn’t copy Greece’s technology completely just a few things to help Rome thrive. Actually, Rome took most of the Greek’s more rudimentary inventions and discoveries and innovated to create much better versions of Greek inventions. Although they may have not originally had the idea, they did not just copy and merely take the inventions, they improved them. You don’t know what your’e talking about. They invented it. And by the way, just to remind you… while the greeks were busy philosophating, Romans acted and got things done, there is a reason why the greeks were conquered, at that says it all. Incorrect: the most influential civilization on Rome was the preceding Etruscan civilization. Greece did influence certain aspects of the Roman Empire (most notably philosophy) but cement was uniquely Roman among many other inventions listed here. Egyptians made a type of concrete for pyramids. Egypt made first concrete, not Rome. The Egyptians used limestone and other rocks from nearby quarry’s. They did not use cement nor were they aware of its existence. This post is really misleading, many of the things mentioned were not invented by the Romans but were borrowed from the Greeks and other civilizations. Let’s start with the arch, arches are a Sumerian invention but the babylonians and Assyrians were the ones who used them frequently in their archeticture, from windows to City gates and underground vaults. The Greeks introduced arches to Italy, although I do credit the romans for making multiple uses out of them. Second, surgical tools were invented by civilizations centuries before Rome by the Greeks, Egyptians and Babylonians. Sewages were common around the world, they were developed independently around the world it doesn’t have a specific origin. Some of this is wrong, surgical tool were first invented by ancient egyptians and the romans would buy it from their trade markets probably. Rome and Egypt both could have made the same inventions but never have known. This was so long ago that they both could have come together and made them together. Also, Egypt did not use concrete they used limestone and large muddied rocks. Plus, who says that Egypt and Rome didn’t steal OTHER inventions from other places. Some of these are actual inventions of the Romans but some are inventions of other places that they improved on. I’m not hating on this post, just stating a fact for people who are commenting the hate as these inventions were adapted for the Romans so technically it is their invention of the adapted product, although it wasn’t them who created the original item.